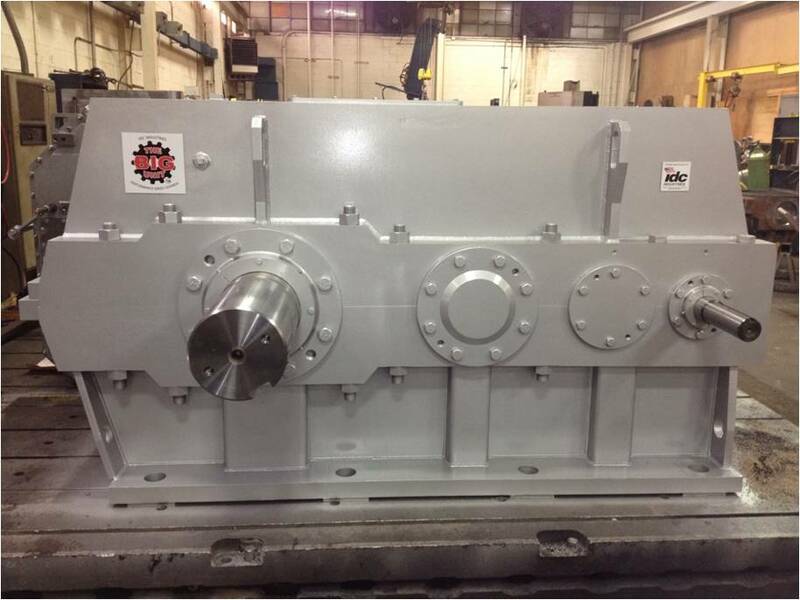 The Big Unit — IDC Industries, Inc.
Is there a gearbox that can withstand our abuse and really last? Is there a gear reducer that can be serviced easily and cost effectively? If there is such a gear unit, can we get it when we want it and how we want it? IDC listened and IDC has spoken.... Presenting the ultimate in "High Performance Gear Drives"
1) IDC doesn't subscribe to the one size/design fits all. All our Big Unit gearboxes begin with you our customer. IDC thoroughly discusses and engineers our gear reducers to the customer and the application- not the other way around. 2) IDC employs the most recent and advanced engineering, software, and methodology in the design, manufacture, and assembly of our High Performance Series Gearboxes. 3) All components, including the housing and bearings are generously over-sized for increased life and ease of service. 4) Most importantly, our Big Unit gearboxes utilize the very best in gear design. Through careful design and engineering, the gear sizing and contact ratios are maximized to afford the best in both efficiency and long life. All gearing is manufactured and ground in house to exacting specifications. And lastly, the gearbox wouldn't be a Big Unit if it didn't meet our rigorous quality standards. Call us for your next gearbox application and see why IDC is the gearbox authority.